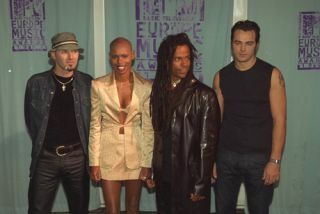 New details on Skunk Anansie's forthcoming (do we call it a comeback?) album have just been announced. The band have confirmed that the record will be called Wonderlustre and will be released on 13 September. Lead single 'My Ugly Boy' will hit the shelves on 16 August. Recently, drummer Mark Richardson had this to say about the album. "I hope you love listening to it as much as I loved recording it. "This is a really different record for us and I'm already extremely proud of what we've achieved just in terms of the songs. It's really shaping up to be something special, but then I would say that." If it sounds anything like classic Skunk (below) then we'll be very happy indeed.